Full of nostalgia and psychedelic design, the iconic Yellow Submarine of The Beatles fame is lit with LEDs to make a very funky light! 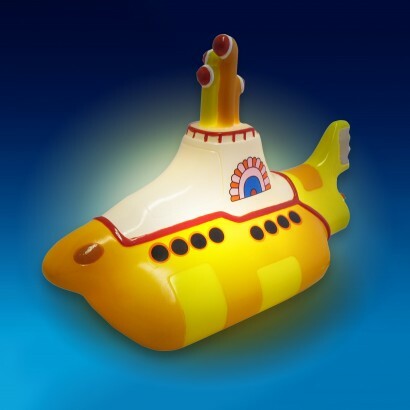 Just the right size for adding a retro spin to desk tops and more, this iconic mini LED light adds groovy style to your home allowing you to escape the daily grind aboard the Yellow Submarine! Battery operated (batteries included) or USB powered (USB cable included), this striking light is a must for music lovers!